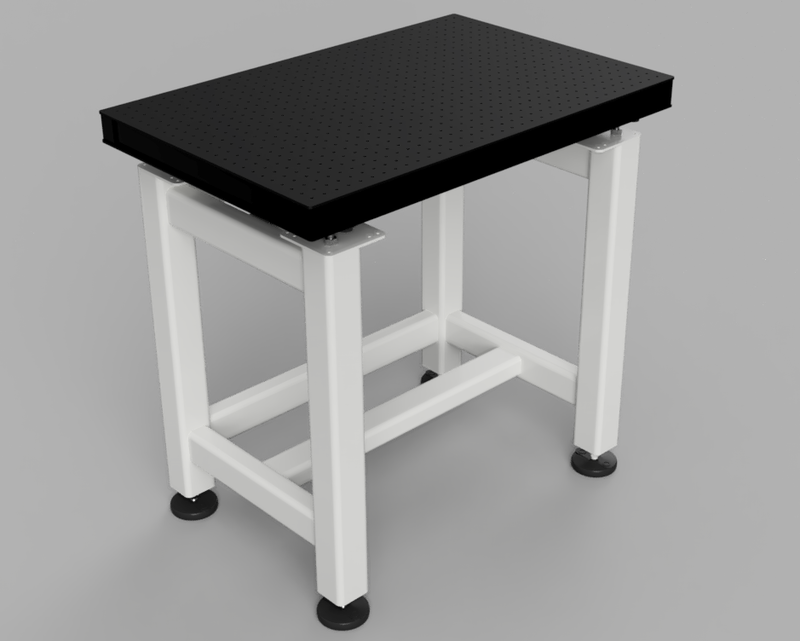 Base Lab Tools rigid-adjustable height honeycomb breadboard supports are a great option where vibration is not an issue or extremely heavy loads need to be supported. All of our workstations are designed to accommodate our honeycomb breadboards providing an extremely stable all welded support steel structure. 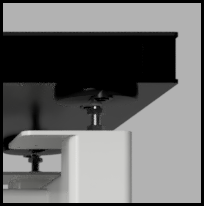 Ample space is provided to use these rigid workstation in either the sitting or standing mode as the front of the breadboard is left open. Open front for sitting or standing use.